What do Cher, Matt Damon, Patti LuPone, Kevin Bacon, Jennifer Lopez, Rosie O’Donnell, Patrick Dempsey, Sandra Bernhard, Ellen DeGeneres, Britney Spears, Neil Patrick Harris, Joan Collins, Taye Diggs, Madonna, Alec Baldwin, Barry Manilow, Chita Rivera, Michael Douglas and Parker Posey have in common? 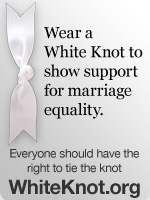 They have all guest-starred in one or more episodes of Will & Grace. 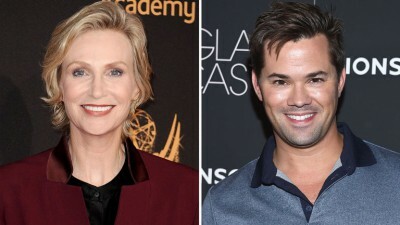 And now four-time Emmy winner Jane Lynch and Tony Award nominee Andrew Rannells are joining the club. Details on their characters are being kept under tight wraps, except that they will appear on the same episode, which begins production this week, according to The Hollywood Reporter. Lynch and Rannells join previously announced guest stars including Tony winner Ben Platt, as well as returning faces Harry Connick Jr., Minnie Driver and Bobby Cannavale. Celeb Instagram: Fortune Feimster! Gio Benitez & Tommy DiDario! Matthew Camp! Margaret Cho! Jim Parsons!